All of us at some point or another, have longed for pyjamas to be acceptable to wear during teh day. Imagine: rolling out of bed and straight to work whilst experiencing ultimate comfort, be it in the form of a onesie or an oversized nightshirt. Well, 2016 has granted our wish - sort of. With the high street and catwalks overcrowded with silky night shirts, slinky dressing gowns and satin co-ords, it's easier than ever for us to rock our nightwear to work. As long as there' no filthy fake-tan stains from the night before, I can slink to work straight from bed in my satin shirt without the bat of an eyelid if I so please. This ASOS dreamboat dress is the perfect example. The slinky satin, floral print and piping detail ticks all of the bozes for it to be deemed as nightwear, but in fact is the opposite. People may question, "is she wearing a dressing gown?" and my answer shall be, well, sir, perhaps it is a dressing gown cleverly disguised as a dress, but you will never know the answer. Styled up with some accessories to make it day appropriate and I'm good to go. 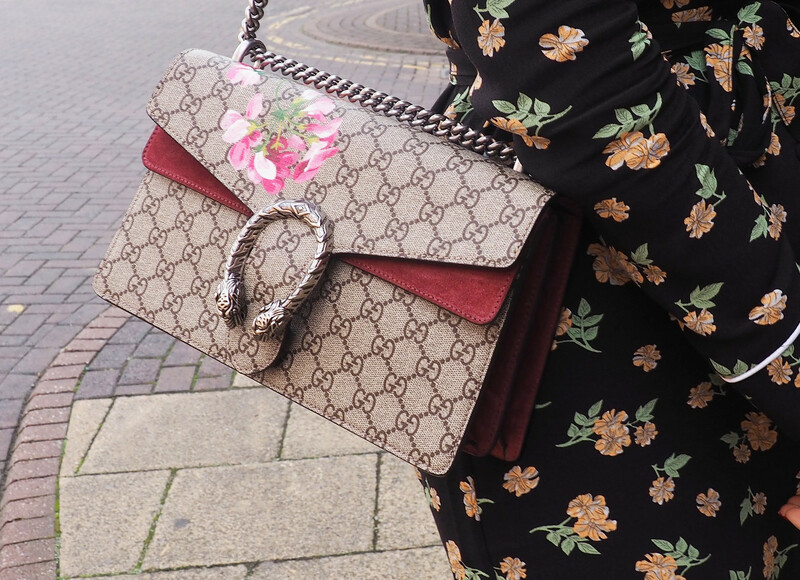 My gucci bag makes me look like I totally have my life together, which is never a bad thing, and my bow choker (also from ASOS) adds that bit of badass that never goes amiss.